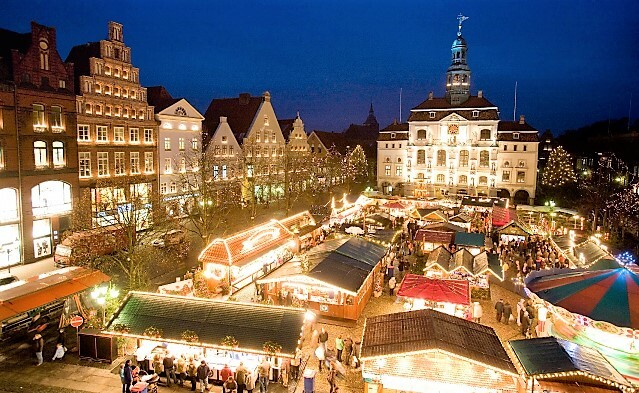 Glühwein (mulled wine), sausages and gingerbread smells in the air: Christmas-market time is coming up again. 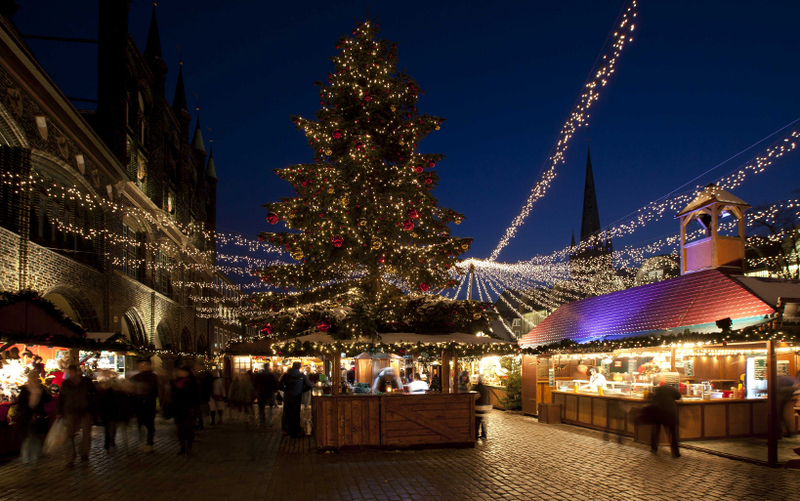 And where better to celebrate it than Germany, the home of Christmas markets! 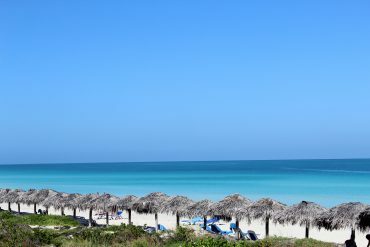 Why go North for pre-Christmas festivities? 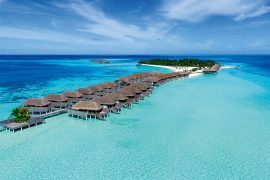 You will find multiple direct flights (including low cost airlines) from most international airports to Hamburg or Lübeck. Both Hamburg and Lübeck airports are not far from their city centre and transport is very good, so you will not spend too much time or money on commute. Tip: Each market has its own special Glühwein mug. For a small fee (1-2 euro in most cases), you can keep the mug and re-use. Not only it is cheaper to re-use the same cup, but you might end up with a nice souvenir collection! Ask about Christmas specialties: some foods and crafts are only sold during this season. In Hamburg I love the roasted chestnuts and beewax sheets (from which you can very easily at home make healthy candles with a wonderful scent!). If you haven’t visited Hamburg yet, now is a great opportunity! The scent of roasted almonds, crepes and mulded wine combined with wonderful decorations, hug the city in a lovely Christmassy atmosphere. Thousands of lights are reflected in Hamburg’s lake, river and many canals (the city features more than 2300 bridges – Venice would be jealous! ), making the most important sights even prettier than usual. 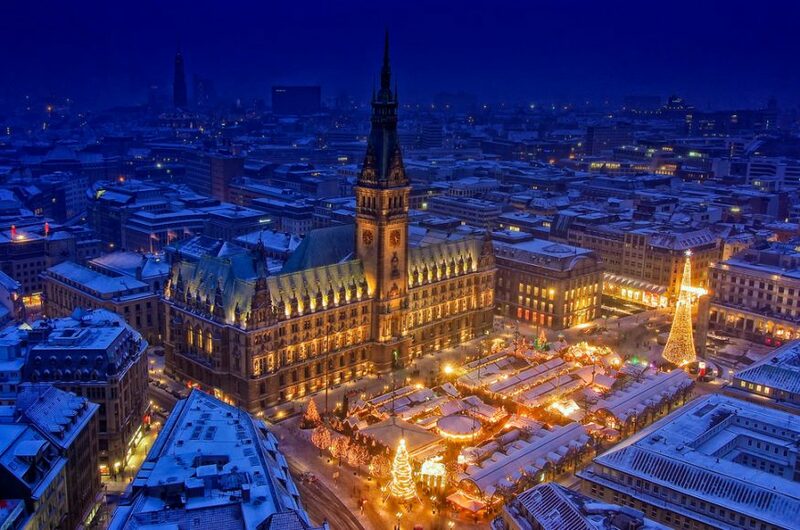 Visit the Rathausmarkt, where the historic Christmas market lays in front of the icon Town Hall. Stroll by the Inner Alster and indulge yourself into the delicious food options that the Magic White stalls offer in Jungefernstieg. The visitor can find more Christmas markets in Kiez, Gänsemarkt, Hafencity, Mönckebergstrasse and Fleetinsel. 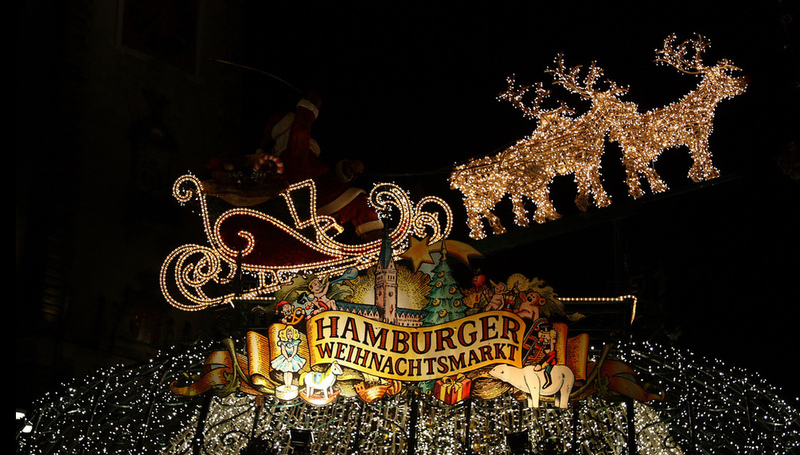 Every day at 4pm, 6pm and 8pm, Father Christmas and his sleigh hover above the Christmas market in front of Rathaus. For children: A special highlight of my harbour city are the Fairy-tale Ships for children. Five magical ships offer wonderful programmes free of charge for the children. 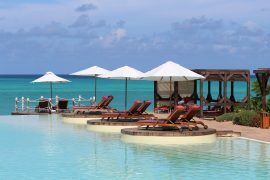 Baking, face-painting, bufalo hunting and loads of other playful activities guarantee a wonderful time for the children (and the relaxed parents). While you are there: Visit Miniature Wonderland, Speichestadt, Reepabahn, stroll around the Alster lake and Elbe river. Read here our detailed article on what not to miss in Hamburg. 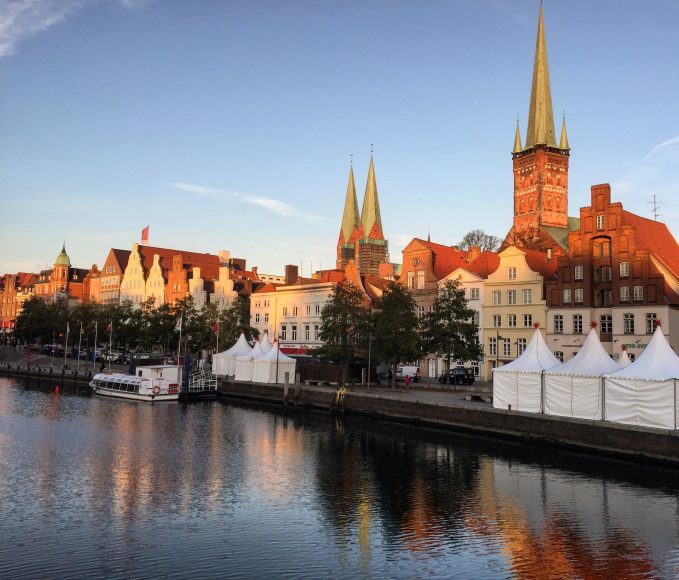 If your accommodation is in Hamburg, you could rent a car or just take the train to Lübeck and Lüneburg for a lovely same-day trip in each city. The former capital and Queen of the Hanseatic league, Lübeck is a very charming city only 1 hour away from Hamburg. Red brick and Gothic architecture reminds the visitor of the city’s glorious old days. 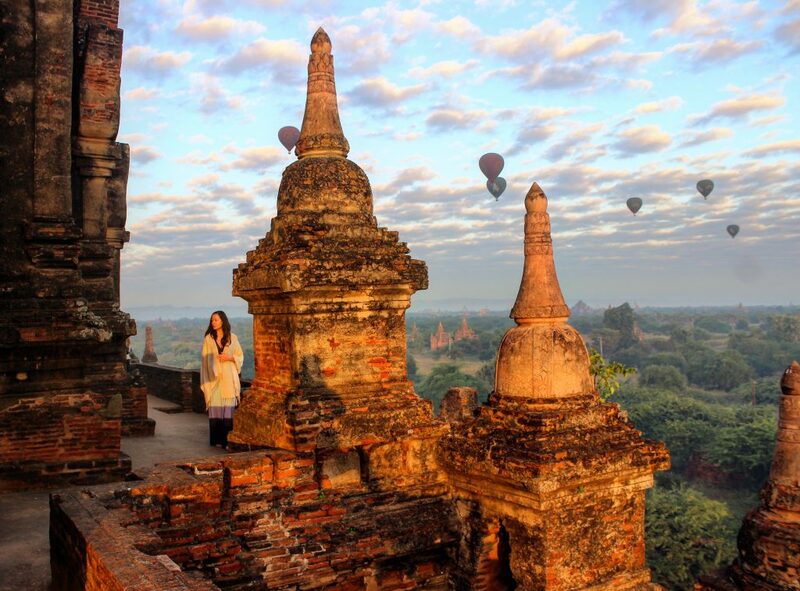 It is today a World Heritage sight and features more than 1000 historic buildings. Mulled wine, sweet crêpes, candied nuts and yummy baked apples can be smelled in every corner. Add to that the marzipan treats and you have a delicious Christmas market experience. For the children: They can enjoy the pixie forest and skating ring at the Christmas Wonderland by the Obertrave embankment. 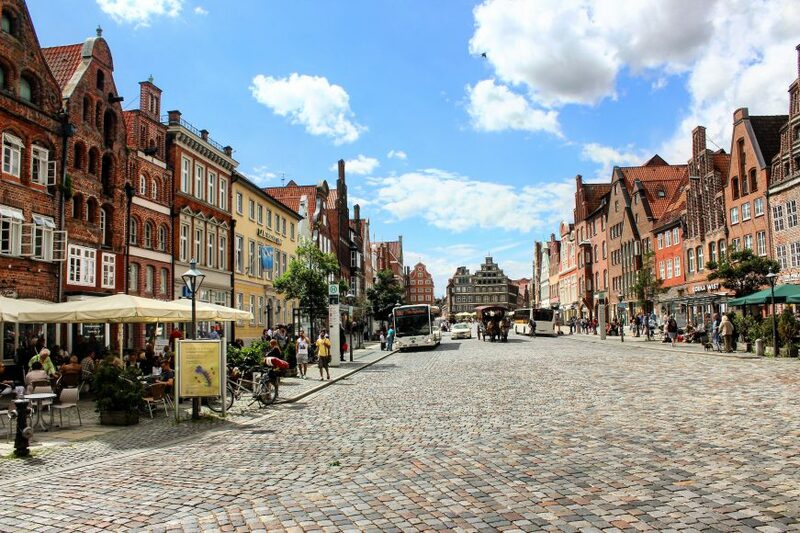 While you are there: Take this opportunity and visit the wonderful streets of the old town (Altstadt), the city’s icon building Holstentor, check the view from St. Petri (take the elevator), Marienckirche and just stroll by the river or talk a boat trip (if not too cold!). 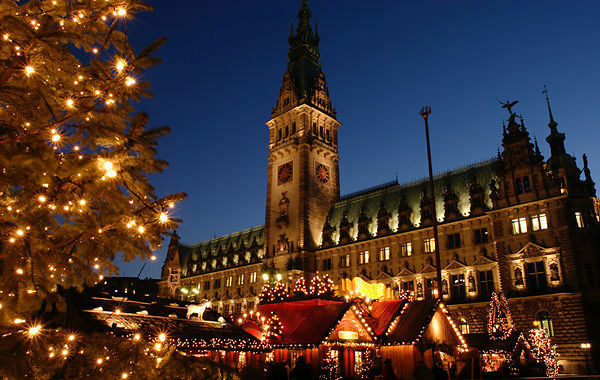 Only 50Km away from Hamburg, this ancient Hanseatic town offers a wonderful atmosphere and a beautiful Christmas market, with thousands of little lights brightening up the town and pedestrian streets. Stunning architecture, baroque buildings, medieval churches and fairytale decorations transform the city into a magical winter wonderland. The Lüneburg Christmas Market stalls are exceptionally decorated and offer hot chestnuts (my favourite winter treat! ), candied apples and nuts, mulled wine and wonderful handmade crafts. For children: Santa Claus will also appear at 4pm every day. Tip: I find that the best highlight is the historic market on the first advent weekend only (hurry up, book now), where farmers and craftsmen stroll around in 16th century costumes. A wonderful sight! While there: Just walk around the beautiful cobbled streets, enjoy the stunning view from Wasserturm, have a drink by River Ilmenau and Stintmarkt. 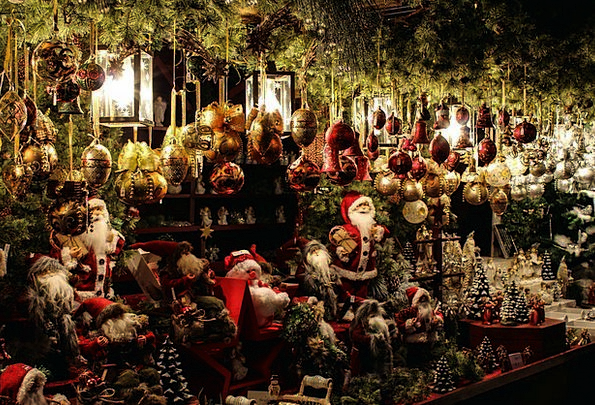 Which are your favourite Christmas markets?